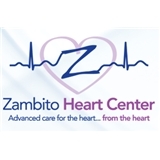 Zambito Heart Center (Corona) - Book Appointment Online! Exceptional heart care? You’ve come to the right place. If you are accustomed to long waits to get appointments when you see your doctors, you’re in for a very pleasant surprise. At Zambito Heart Center, we put our patients first. Cardiac specialist Peter E Zambito, MD, is a board-certified cardiologist who is caring and attentive to his patients; In fact, he wants his patients to talk and ask questions because he believes in that kind of one-on-one care. In our Center we treat the whole patient and cardiac system, not just the heart. If you are ready for a different kind of cardiology care, visit Zambito Heart Center and see for yourself how much more pleasant your experience can be. Take the first step to advance your heart health with a personal consultation with our cardiologists – If you suffer from symptoms such as arrhythmia, chest pain, poor circulation, palpitations, shortness of breath, heart murmur or have diabetes call Zambito Heart Center today.